Being a grandma for the first time is something I have thought about for a long time – thinking out what kind of a grandma I want to be was something that was very important to me. If you are anything like me, you know you want to be the best grandma ever, you want to give your grandchild the best of everything. What will your grandchild call you? Easiest is the good old : “grandma”. But consider that there is more than likely another grandma in the picture. It was important to me that my grandson had something to call only me. So I chose “baba” – same name I called my grandma. Think about it this way – how many times in your life do you get to choose your own name? Are you going to be the one who never says “no” or will it be your way or the highway? Kind of silly to think about it this way, actually. This point is the same as it is when you are a mom – the trick is to find the line, the perfect middle, the know when to say “no” and when to say “go for it”. And same as being a mom – you will not always know the right answer. So – don’t sweat it – remember that you have lots of experience! Are you going to spoil your grandchild? Of course you are – or at least you are going to try. I do have a rule for that – never, ever say “yes” when you know the parents would definitely say “no”. Never ever overrule them and never ever challenge their decisions. It’s their child and they have to live with whatever happens. If you are in doubt about this rule, just ask yourself how would it feel if you were the parent and the grandparent would challenge your decisions. And just a little note on this subject: if you have a problem with something the parents are doing, it’s OK to talk to them about it – just never, ever in front of the child! 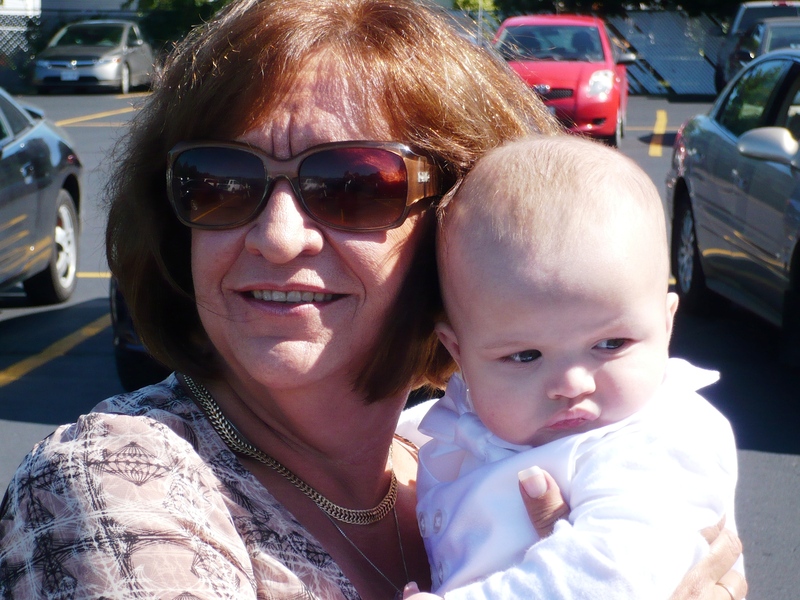 Will you find the time to spend with your grandchild? The answer to this one is: You absolutely have to. Look back and see how quickly your own children grew up. And if you were a working person when they were growing up, you are probably thinking that you missed a whole lot. You can make sure that you don’t miss anything your grandchild does or desn’t do. Use the phone, text, emails if you can’t visit often, ask the parents to send pictures and short videos – it’s the digital world these days! Easy and simple, but it will not replace the real visits or the real time you spend with your grandchild. Find it and make it happen – it is so very, very important. Seal Your Lips: You could be an expert who has a whole line of bestsellers on parenting to her name and your son or daughter will still want to do things their own way. remember that your advice and your opinions will not be welcomed, unless they are solicited! And even then it may just be solicited out of being polite – so walk carefully! And just to make sure you understand: this should read” Seal Your Lips and Bite Your Tongue”! Love Thy Grandchild as Your Own Child – but Remember That He or She is Not Your Own: This just reinforced all the other points and I keep addressing it from all directions. It is your grandchild and it is very different than being your own child. It is there for you to love and play with – all the other stuff is the business of the parents – keep reminding yourself of that and you will be a very happy grandparent! Abide By the Rules of the New Parents: It is important to understand that the rules of parenting have changed since you were a parent. New gadgets, new ways to communicate, new lots of things. Pay attention to what the parents are telling you and do your best to understand and abide by their rules, because yours really don’t matter any more. Accept Your Role: Understand that maternal grandmothers may appear to be more important. Understand that in most families, new mothers are the primary caretakers of babies, leaning on their mothers for support. Sometimes it can work the other way as well, but either side could be at risk of being shut out completely if they fail to observe and understand this. Think about yourself as being a relief pitcher in a baseball game – and stay on the bench until you are called – that’s how you will stay in the game. Don’t Be Surprised If Old Issues Get Triggered: If you are in a situation where there are more than two sets of grandparents – I am talking about a couple who got divorced and than remarried – do not get into a competition. Even if the other side tries to do that, it is up to you not to fall into that trap. It will be appreciated if you don’t and it will avoid potentially traumatic situation. Get a Life: As much as being a grandmother or a grandfather is hugely important, it cannot become your whole life. Stay close and connected, yet separate. Boundaries, boundaries, boundaries. Let Go of Expectations: You may have your grandchild nearby right now, but what if the parents decide to move some distance away? Don’t take it personally – deal with it and find a way to stay in touch. I hope you enjoyed this article – whether you agree with everything or not, send me your comments. opinions, suggestions and experiences – your input is very welcomed and much appreciated!